A Maryland Blog For Title Insurance, Settlement Company News And Information. A place For Consumers, Lenders, Real Estate Professionals And Others To Find, Share Or Read About News And Topics Related To The Title Insurance And Property Settlement Industry. Understanding Quotes, Coverage, Closings, Recording, Property Tax, Discounts, Third Party Fees, Services, Transfers, Risks, Policies, TRID, Closing Disclosure, Loan Estimates And More. A free unbiased Consumer's Guide to Title Insurance is available to anyone. The guide is published by the Maryland Insurance Administration. Anyone can download or view the guide in .pdf at the Maryland Insurance Administration website. Who's protected by Title Insurance? How Title Insurance is different than other forms of insurance. How to purchase Title Insurance. Information about the settlement process you need to know. The process and contact information for filing a complaint. This is a great source of information for those looking to get a basic understanding of what title insurance is all about in Maryland in a quick easy to read online brochure. Everyone should have at the minimum a basic understanding of title insurance before they shop for title insurance in Maryland. The website also provides a list of Title insurance companies who underwrite title insurance policies in Maryland. This list of Title companies a link to the companies main web pages where you can get more information about title insurance and specifics about the various companies for which you can compare and contrast. Hopefully this little document is helpful to anyone needing a quick read to gain a basic understanding. The good thing about this guide is the fact the Maryland Insurance Administration produced it for the consumer and it is very unbiased and generic in format and contains no sales pitch content. Kudos to the administration for creating this handy learning tool. Hope this was helpful! We encourage consumers to learn more about title insurance and to shop around. 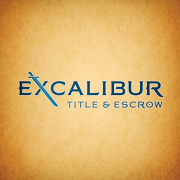 Hoping of course one stop along your way while shopping to compare price and service is with Excalibur Title and Escrow, LLC a Maryland title insurance agency and real estate settlement provider. Maryland Title and Escrow Company, Inc owner David Wehrs Sr. age 54 Pleads guilty to fraud scheme! Baltimore Co. Title Company Owner Pleads Guilty to Wire Fraud. Different Kinds of Title Insurance? Common Real Estate Fraud Schemes Found In Maryland And Throughout The USA.